It was all over my Instagram feed when beauty vloggers and Youtubers tried the latest edition of Carli Bybel Deluxe Edition palette, and of course, by just looking at the colors, 'YAS I NEED THAT BABY!" So then my friend got me this palette from the US about $19 (which is not bad at all) and this palette includes 21 shades that are matte and shimmery finished. Scroll down to see some of the swatches. I know right, this palette is so magical. The pigmentation is the best. I just swatch once for each color, and the colors surprisingly pay off! And plus, I just love-love with the highlighter at the bottom. When I apply on my nose, it just gives that Carli Byble's signature look, gosh! 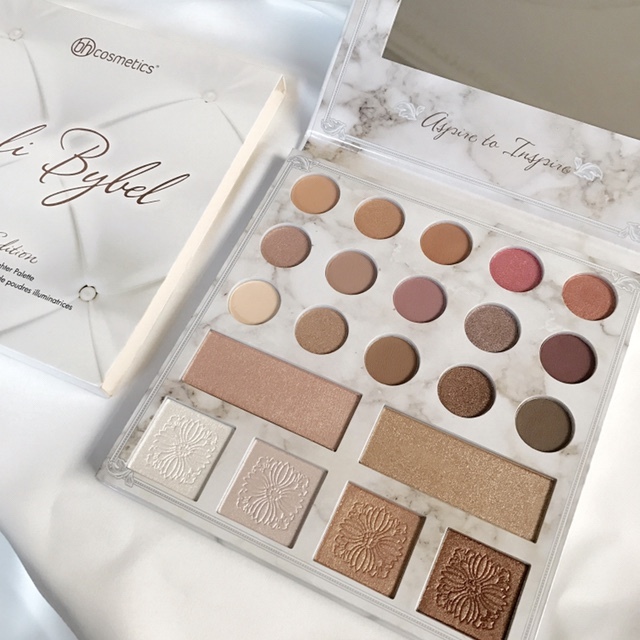 Overall, BhCosmetics x Carli Bybel Deluxe Edition is really worth to try! I love the Carli Bybel palettes! You look flawless! This palette looks great, Andi!